Housed in a transportable rugged case with fold down handles. ADC Gas Analysis, represented in Australia by ANRI Instruments & Controls , has released the latest version of the SB100, a mainspowered benchtop transportable infrared gas analyser. Available in single or dual gas variations, each unit includes a digital display, in-built sample pump, analogue output, flowmeter and simple calibration controls. Measured gases include CO, CO2, SO2, SF6, N20, NH3, CH4 and other hydrocarbon gases. Oxygen measurement can be included as an option either using a low-cost, long-life galvanic cell or high-accuracy paramagnetic cell. Each range of measurement can be specified to order, from ppm to 100% levels. Applications include flue/emission/process monitoring, biogas, food processing/storage, horticulture, heat treatment and combustion studies. It is housed in a transportable rugged case with fold down handles and a protective hinged front fascia. 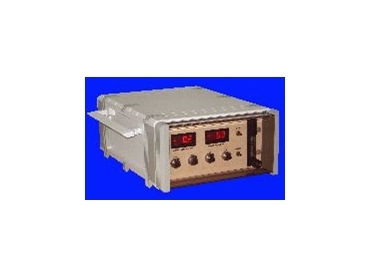 The range is suitable for onsite use or benchtop use in the lab. Wall-mounted versions are also available.